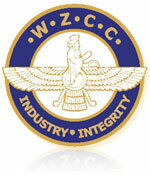 WZCC was launched on December 29, 2000 as part of the legacy project of the Seventh World Zoroastrian Congress. To facilitate, encourage and promote the spirit of entrepreneurship amongst Zarathushtis. To promote Zarathushti businesses interests worldwide. To enhance cooperation, networking and solidarity amongst Zarathushti business and professional communities. To gather appropriate statistics of Zarathushtis doing business worldwide. The Zoroastrian All-Party Parliamentary Group, founded in October 2013 by Lord Karan Bilimoria of Chelsea CBE, DL and Gareth Thomas MP as a means increasing awareness of this ancient and venerable religion in Parliament. The Zoroastrian APPG also exist to promote the interests of the British Zoroastrian community, both inside and outside Westminster, as well as improving links with fellow Zoroastrian parliamentarians from around the world. The Bombay Parsi Punchayet also known as the BPP is the apex administrative body of the Parsi Irani Zoroastrian community in India. It is recognized the world over as the premier body of the Parsi community and is known to be one of the oldest continuously existing, socio-community organisations in Mumbai having been formed in 1672 . ​FEZANA is incorporated under the not-for-profit corporation laws of the State of Illinois, exclusively for religious and charitable purposes. To engage in and support any other activities that nurture and support the Zoroastrian faith and Zoroastrian communities. ​The work of Almut Hintze, Zartoshty Brothers Professor of Zoroastrianism, and Dr Sarah Stewart, Lecturer in Zoroastrianism on the religion of pre-Islamic Iran, which is still practised by ca. 120,000 individuals world-wide, has actively engaged with different sections of a deeply divided, microscopic religious community. This has resulted in the endowment of a Chair in Zoroastrianism at SOAS, the only one of its kind world-wide and an annual lecture in memory of a distinguished Zoroastrian (Kutar Memorial Lecture) that is attended by the wider Zoroastrian community in London and beyond. The Inter Faith Network for the UK (IFN) was founded in 1987, following two years of consultation, to advance public knowledge and mutual understanding of the teachings, traditions and practices of the different faith communities in Britain including an awareness both of their distinctive features and their common ground and to promote good relations between people of different faiths in this country.